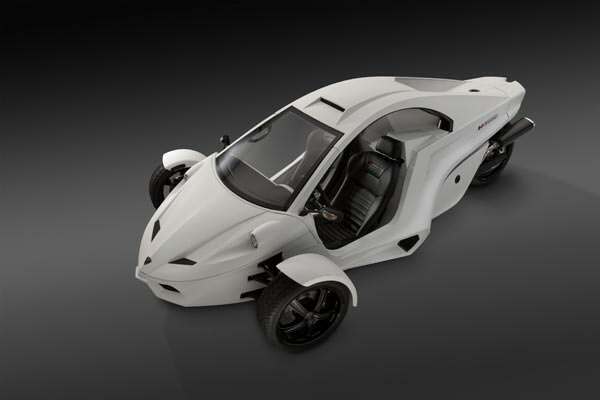 The Tanom “Invader TC-3” represent the latest in the design thought and evolution of the growing reverse trike market. The Invader epitomizes the comfort and performance that can be had when the attributes of the motorcycle and sports car are brought together. 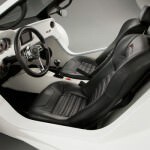 The Invader delivers the performance of a super bike wrapped in a one-of-a-kind bodywork that seats two passengers in a comfortable sports car-like side-by-side seating. Power for the Invader is provided in spades, thanks to a 1,300-cc Suzuki Hayabusa engine mated to a six-speed sequential transmission. 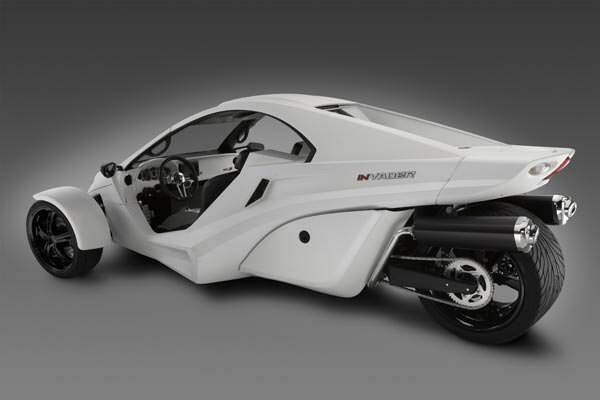 The powertrain provides enough scoot to move this reverse trike from 0-60 miles per hour in under four seconds. Keep going and you’ll eventually hit the top speed of 150 mph. 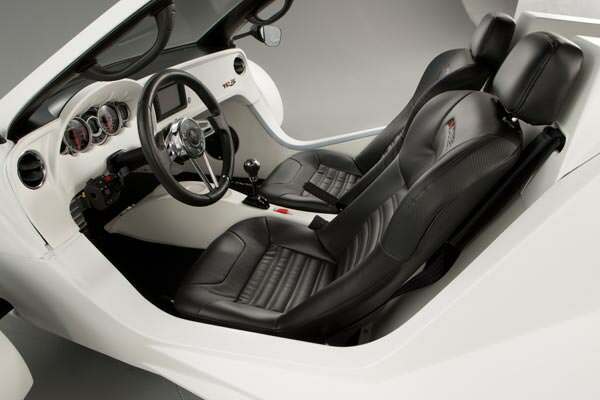 Pricing for the standard Invader begins at $42,900, with a host of optional features being made available. 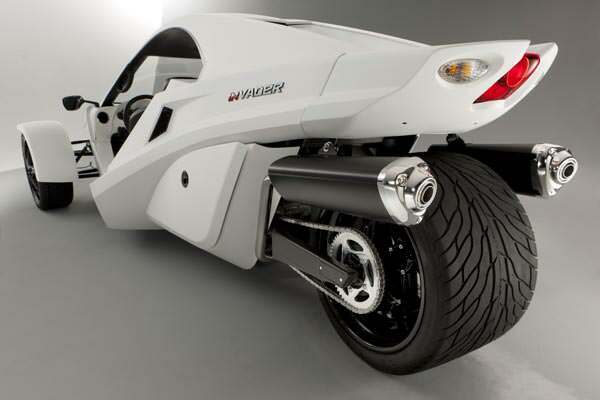 Tanom Motors isn’t just stopping there however… the Invader builder has teamed up with former Van Halen front-man Sammy Hagar to produce a limited-edition signature series. The “Red Rocker” edition Invader will incorporate custom design elements created between Hagar and Tanom Motors, and it will go on sale later this year.